4Love is patient,love is kind. It does not envy, it does not boast, it is not proud.5It does not dishonor others, it is not self-seeking,it is not easily angered,it keeps no record of wrongs.6Love does not delight in evilbut rejoices with the truth.7It always protects, always trusts, always hopes, and always perseveres.8Love never fails. It has been said that the love of money is the root of all evil. Greed can easily top the list of the deadly sins for its impact on the world, but money, at least some types of money, might also be able to teach us something about love. 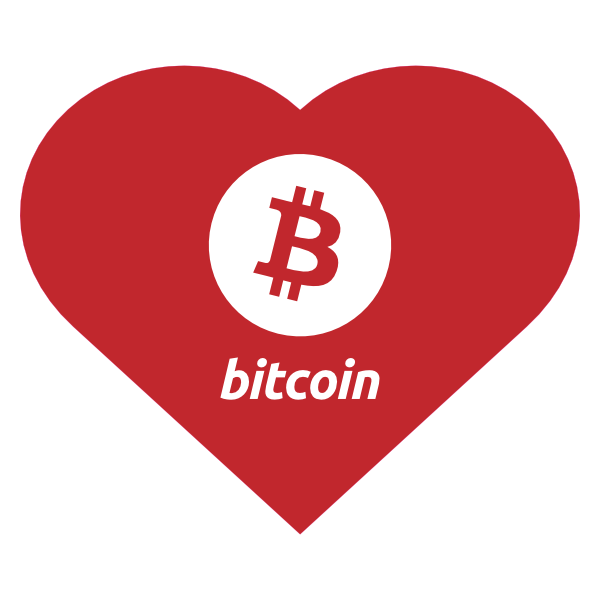 Consider the generous love that has gone into Bitcoin in its creation, distribution, and implementation. Consider also the protocol’s reliance on the greed of people to defeat greed itself. The motivation of greed is met with curiosity and even benevolence within the mining community. The protocol itself uses the natural greed to engender sufficient mining growth along a continuum and weans us from this greed through the progressive halving of the block rewards predictably every few years. Let’s see how good of a match they make on each of those? Although it sometimes seems like there is this rush of change in Bitcoin Land, and we just can’t get things done fast enough, this is our impatience, not any impatience of Bitcoin. Bitcoin is patient; it will still be here even if any of our projects fail. The protocol was crafted and designed and released and will await our capacity to make sense of it. The boundless benevolence of Bitcoin is characterized by the notion of “random acts of kindness”. There is nowhere this is made more manifest as in the Bitcoin protocol. The random distribution of block rewards to those that are engaging in Bitcoin is deeply kind. This extends out into the Bitcoin community. Bitcoin in its early days was and is a sort of gift economy. It enabled the “random act of kindness” in a wonderful new way. A great proportion of the early transactions were gifts, and it with Bitcoin that a simple anonymous donation can be very easily made, an anonymous gift is a profound kindness as there is no possibility for any return favor, or even acknowledgement. A simple gift transaction to someone you never met just because you like some code they wrote or something they are doing is so very easily enabled by this wonderful innovation that it has spread love and joy through its kindness worldwide. This kindness is built into the basic elements of the protocol. Every transaction has the option of including within it a gift to those that calculate the hashes to secure the block chain, the miners. The excellent are not prone to envy. Bitcoin is content with what it is. It does not covet the attentions of anyone from individuals to central banking. It is self-sufficient in that it does not beg for someone to come along and attend to it. Bitcoin does not seek what it does not have. 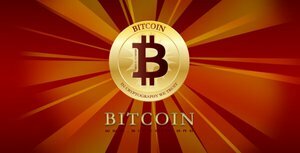 Bitcoin does not look to become Legal Tender, and does not want to force you by rule of law to accept it, or even to abandon any other means of transaction. Bitcoin is assuredly content to be what it is. Much of what is said about Bitcoin sounds boastful. “Best investment of the year”, “greatest innovation in financial instruments”, “Largest challenge to central banking in a century”. We would do well to make less grand claims as our experiment grows up and meets the world. These however are not Bitcoin’s own boasts. Bitcoin is in beta, it is what it is. It stands naked with its code exposed. One of the foundational principles of Bitcoin is that it is open source. It has always been open source. The Bitcoin code is exposed and laid bare for any criticism and this is its strength. These criticisms are welcomed and when they are on point they are cherished not answered with pride. Though Bitcoin Land is inhabited by folks who are smarter and more attractive than average, its greatest gift is given anonymously. The protocol itself. Bitcoin is honorable; it is at its essence, mathematics. What can be more honorable than math? Its calculations are known and open and exposed. There is no encryption in Bitcoin. The transactions are in the public, they are shared and open and above all honorable. As the transactions are confirmed by the proof of work securing each block they become increasingly honorable such that everyone will honor transactions even the block reward after 100 blocks have been stacked on top. Bitcoin does not seek its own. Once a public address is used, it would be proper to not reuse the address. The protocol is not built to create great stores of wealth on any address. The more bitcoins are transacted to an address the more exposed that address becomes and therefore the least safe. It is difficult to imagine the emotion of anger applying to Bitcoin. It is a gentle protocol, even the competitive activity of the mining of fresh Bitcoin by creating new blocks in the block chain creates cooperation and pooling in the same way that friends can join a lottery pool and share the rewards of winning. Bitcoin keeps every record, and keeps it in the open. The wrongs of Bitcoin would be those blocks that are orphaned and not propagated. Those blocks are lost to posterity. Unless they have blocks stacked upon them in order and with properly calculated hashes they are not kept in the block chain record. The Bitcoin block chain keeps no record of these lost chains gone wrong. Bitcoin does not delight in evil. Bitcoin relies on the sanctity of mathematics. There are many examples of evil. The evil that sought out the loving embrace of Bitcoin in attempts to hide ultimately become exposed and there is no delight in the evil. The greatest evils are those for which Bitcoin was designed to protect us all: The insidious theft of the product of our labors of the world through the non-consensual devaluation of our wealth by national money issuers. Bitcoin rejoices with the truth. When the mathematical truth of the proof of work calculation is reached, when a sufficiently difficult hash is randomly accomplished upon a block to proclaim its truth the world it is met with a joyful reward. This reward is met with rejoicing and swiftly followed by more and more blocks and more and more rewards. The security of each and every key that protects the wealth of the smallest measure of Bitcoin, a satoshi, is protected by just the same cryptographic security as the largest. Even the poorest among us receives this same benefit of mathematics. All of us are protected without monetary discrimination from the alpaca sock merchant to the exchange traded fund. There are no classes of people or special privileges. Bitcoin is designed to not require trusting anyone other than the folks involved in the transaction. This is new. Bitcoin is a novel solution to a problem that has perplexed some of the smartest minds of a generation and handily solves the Byzantine General’s Problem. You do not have to trust that my bank will honor a check, or that your bank will cash it. You do not have to trust that I am the true owner of a credit card, the transaction provides all the trust that you will need. When the Bitcoin transaction is recognized in the block chain, the block chain can trust you to do as you will with them when you present to it a transaction for them signed by your private key. Holding the key is all the trust that is required. 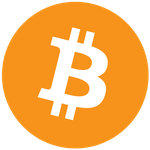 The Bitcoin protocol was designed with hoped for liberation from artificial and arbitrary constraints. We no longer have to wait for banks and payment institutions to generate new monetary innovations. We hope for freedom from the onerous consumer protection structures and fee structures. We hope to be liberated from an unpredictable inflation arbitrarily decided behind closed doors pulling the value out of our savings. We instead empower ourselves with the ability to program our money to behave according to clear and open rules which only change when all those who are impacted are in agreement. The ability of Bitcoin to preserve in permanent open record is unsurpassed by any other endeavor attempted by humans. The propagation of the block chain into every full client insures the persistent and continuous record of preserving the transactional history of every exchange since its inception. It has created an open book preserved for posterity of what we each do with each other. This remains to be seen, but so far so good. Love wins. Happy Valentine’s Day.